As you can tell by today's title, I will be talking to you all about products that I think are amazing and worth the value but also the products that are not that great...So without further ado, let's get to it. NARS Radiant Creamy Concealer | Now, I bought this ages ago because nearly every beauty guru that I watch on Youtube raves about this product. So I had very high expectations for this, but it didn't meet them. I didn't think that this concealer was all that, I personally don't like it but for a natural look this could be a good concealer to use. It didn't cover the dark circles that I had despite putting on a decent amount and setting it with translucent powder. LA Pro Girl Concealer | In comparison to the NARS Radiant Creamy Concealer, this is amazing concealer. Some people have said that it is very drying but I don't think so. I think that this concealer is very high coverage, lasts all day and reduces the appearance of under eye circles. I would definitely recommend this drugstore concealer. Would I buy it again? Yes, I have one more already waiting to be opened. Real Techniques Miracle Sponge | Now, this sponge is amazing and get it to the nooks and crannies of your eyes, The flat shape allows you to blend in the liquids better but ever since I purchased the B.Cosmetics Beauty Blender but thoughts have changed. I do love this sponge and it will also be a favourite of mine. B.Cosmetics Beauty Blender | This beauty blender is a dupe for the original beauty blender as I talked about in my A Beauty Blender Dupe Is All You Need post. I love the teardrop shape of this beauty blender and how dense it is. Similar to the miracle sponge is works well with liquids and blends it in incredibly well giving your complexion is a dewy effect. Would I buy it again? Yes, I have 3 more ready to use. 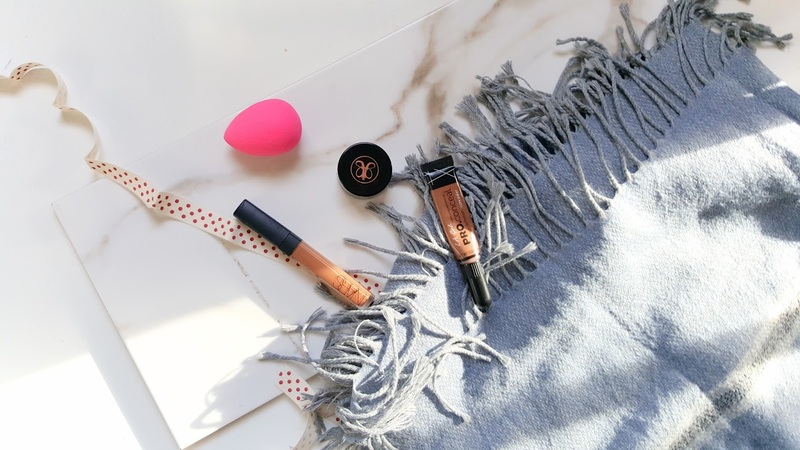 Anastasia Beverly Hills Dipbrow Promade | I love a good promade and despite that fact that this is a bit on the pricey side that other affordable promade, it is worth it. I have been using this promade for roughly 8 months and I am nowhere near the bottom of the tub. It's so long lasting and glides on well with an eyebrow brush, I would definitely make sure that when you are purchasing this promade, you make sure that it matches the same colour as your eyebrows. Also, use very light strokes when filling in your eyebrows as it can come out a bit too harsh. Do you have any products that you think belong in the hit or miss category? Do you agree with any products that I have addressed above?